I have been so bad about some blog awards I've received. Cristi from Scrappin 5 Little Cupcakes gave me this award a week or so ago and Linda from Cards by Linda also sent this to me today. Thank you ladies and I'm sorry it too me so long to post Cristi!! 1. You must thank the person who passed it on to you. 3. List three things you love about yourself. 4. Post a picture that you love on your blog. 5. Pass this award on to five others. I've done 1 & 2, but now I have to say three things I love about myself. This one is hard! Here's a picture I love. It's our 17 year old dog. She was a mess and not doing so well and we had to have her shaved. She was so cold her teeth were chattering (and it was summer when this year when this was taken) so I went and got her this hoodie t-shirt. Isn't she cute? She's just old, and things aren't always great, but she's not in any pain and lives to eat--LOL! Now I have to pass this on to 5 people. I am so not good at picking! I love to pick people who haven't recieved it yet, so I'll have to look around and try to add to the post this weekend. I'll have a card post Wednesday after I take the picuture in the daylight. Have a great night! Hi everyone! My Pink Stamper is having a Winter themed Challenge this weekend. Make sure to head over there to see her adorable birdie card, new stamps, and the prize for the challenge! I was planning to make a card with her Winter Punnies today anyway, so it was perfect timing! I used Christmas Cheer for the house and the snowflakes came from Accent Essentials. The house was cut at 4 1/4 inches and and the snowflakes cut at 1 3/4 inches. The background paper is Very Merry from October Afternoon and ribbon is American Crafts. I added Stickles to all the 'snow'. Then I finished it all off with the stamp by MPS -- Winter Punnies. I want to thank everyone for all your nice comments about my son. He has a fracture in his wrist. The gave him a velcro cast, not plaster and he'll have to be out of soccer for at least 5 weeks. But they said it's a pretty straight fracture and shouldn't have complications healing--Yay! Hi everyone! It has been a crazy week here with soccer starting. And tonight, my son broke a bone in his arm halfway through practice. So we spent about 2 hours at the emergency children's place. He only has a temporary cast and will need a better one. What a week! Her challenge was to make a Halloween themed project so I decided to make something in a frame. I used the October 31st cartridge for all the cuts. The Beware is cut at 3 1/2 inches high and 11.05 inches across. I found black glossy cardstock at JoAnns today. I also cut out 2 others out in regular black and pop-dotted the layers to make it stand out more. The bat was cut at 2 inches high with only one more black layer like beware. The paper did not go all the way across--the frame is 14 inches long so I tapped aother piece and covered it with the ribbon. So I needed something to go on that side and I realized the skeleton would be perfect! It's 5.75 inches tall, if I remember correctly. To finish it off, I used the Martha Stewart Drippy Goo Punch--love that! Then I sponged black ink on the orange background and the skeleton. It still needed something so I pulled out my irock gems and found the purple and orange ones. Oh and the frame was a little plain so I put some halloween ribbon on the outside of the frame. I was having trouble getting a good picture with the glass in so the 1st is without the glass. And the second has the glass in it. My daughter loves it and wants it in her room--LOL! My Pink Stamper just announced four new stamp sets coming out. I am so excited--I was hoping she would come out with some holiday ones and she did! Be sure to check out her post from today and see the new sets coming soon--they are really awesome! Her stamps are just the best, cute sayings and great quality. If you don't have any yet, what are you waiting for?! I've been busy today making cards for my swap that's due on Saturday. This means I need to get them in the mail by Wednesday--Yikes!! I've made 5 cards today and have 2 more to go :-) But I did get my laptop back last night--Yay! I'm still not sure what was wrong with it, but it didn't cost me anything and it's working again. I'll just need your mailing information so I can send this out to you this week. Thanks so much to everyone who entered!! Here's a card I made for someone I work with. She is so helpful and does things that are totally not her job, but loves to help! I used the preserves cartridge and cut the melon at 3 1/2 inches. All the paper is Bazzill, I just bought a package at Michael's yesterday. I used my irock for the gems, self stick brown ribbon and a white pen to outline the edge of the melon. The stamp is from MPS Fruit & Veggie Puns (love these!!). This is also a thank you to everyone who left such nice commments about my Desgin Team card! I'll pick a winner at 8pm tonight for the Mother's Day Cartridge!! Here's the post I wanted to make yesterday! My laptop will not turn on and I'm about to take it to the Geek Squad. It's sounds easy to fix, but we'll see. I had to load my camera software on the one other computer in the house, but it just doesn't work the same as on the laptop. I really hope to get it fixed and back today (I am very spoiled and used to having that!) I had already typed up the post Thursday night, so here you go! Hi everyone!! Thanks so much for all the sweet comments on my 1st My Pink Designer post from Thursday. I feel so honored to be on Robyn's design team and to work with the other fabulous ladies on the team!! This card is actually very neutral for me. I did not add any stickles or extra bling (except the eyes) so I could give it to a boy. This is very rare for me as I'm much better at making girly cards! I used Create a Critter for all the cuts. The turtle is cut at 2 1/4 inches and the grass at 2 inches. All the paper is from DCWV Spring Stack. I used the Spots & Dots Cuttlebug folder for the background and self-stick brown ribbon. I just had to add a little bling, and those are i rock gems for his eyes (I was sent a replacement and so far, so good!). The stamp is from MPS More Punny-licious, of course! Here's another card for my swap--I think. I'm not sure I'm too fond of this one. It was super simple to put together, especially since I designed it days ago in my Gypsy. But I just don't have my mojo this week. It's been busy with my kids starting school and busy at work. Plus, I have a very sick Aunt out of state, so my heart is just not into being creative right now. I used Locker Talk for the whole card. All the paper came from DCWV Flower Shower Spring Cardstock Stack. I welded 2 of the back to school circles (5 inches each) together and just hid the words for the card base. Then I cut the red layer at 4 1/2 inches. I used the layers by hiding the works on one and the pencil on another to make them different colors. These are also cut at 4 1/2 inches. It has some white accents I added with a Signo pen and black stickles on the pencil. To finish it off, I inked the edges with blue ink and wrapped a bit of twine on the side. I hope to be a little more creative tomorrow and I might have a giveaway on Thursday, so stay tuned!! P.S. For those that have commented on the swap, I've only really been making the one card for the swap and not extras. I have all the files on my Gypsy and can recreate if I want to. Every swap is different, depending on who set it up. That's what makes them fun!! Here's another card for my swap I'm in. I still have 8 to go. I'm going to get busy after I finish this post!! It's been a busy week at my house since school started for the kids on Thursday. So I haven't had much time to create this week. My husband's grandmother has shingles so I came up with this card that I hope will make her smile. Here's another card for my swap--I'm making progress! I just love the Create-A-Critter cartridge and had to make this reindeer for my Christmas card to include. I cut the reindeer parts out at 3 1/4 inches and the little string of lights in the corner at 1 inch. I made a trip out to J's Sunday and found this patterned paper which was perfect for this card. I pop-dotted the nose on him and added red stickles. I used Frosted Lace stickles on the lights. The finished off with the Happy Christmas stamp from Studio G and some red ribbon! This card gave me so much trouble!! But I was determined to finish it :-) I had trouble cutting out these pieces. I had to recut some of the pieces because they did not cut out all the way. I've since changed the blade housing number from 4 to 6. I have no idea what it should be set at! Just wanted to pop in and announce the winner of the 6 Cuttlebug Folders. Random.org picked #21--Connie!! Connie, look for an email from me and please send me your mailing address. I'll be able to get these in the mail on Wednesday. 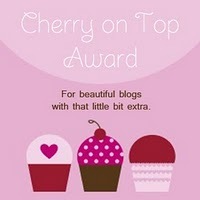 Thanks so much everyone for entering and visiting my blog! I have an extra cartridge that I'm going to give away soon!